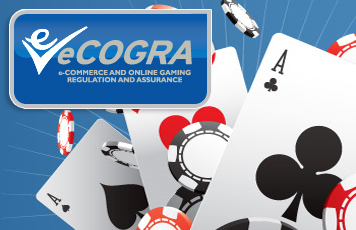 London, 19 February 2009 – The online gambling independent player protection and standards organisation eCOGRA marked five years of quality and safety oversight at its 126 accredited poker and casino websites this week by awarding the tough Safe and Fair gambling seal to three new partners. Sportsbetting operations of the Vienna-based Internet gambling giant Interwetten.com (http://www.intertwetten.com/) and two bingo sites – the first sportsbook and bingo accreditations under the stringent eCOGRA testing and monitoring regime – received the right to bear the eCOGRA seal. The bingo sites are All Bingo Club.com (http://www.allbingoclub.com/) which is a member of the highly successful Jackpot Factory online gambling group, and Platinum Play Bingo.com (http://www.platinumplaybingo.co.uk/) which is a subsidiary of the long established Fortune Lounge group. Accepting the eCOGRA seal, the CEO of Interwetten, Thomas Daubek said: “Interwetten’s management and staff has every reason to be proud of this achievement, which has involved a detailed and comprehensive examination of every aspect of our operational, software and responsible gambling systems by independent eCOGRA professional audit teams. For more information, go to http://www.ecogra.org/.